Not far from Ye Olde Trip to Jerusalem, and apparently not much younger. A different pub though; not a tourist magnet but a music venue it seems, which usually means in daylight its near empty, as this pub was. Nevertheless, a fine pint of Everard Sun Chaser ((3.40), a friendly bar person and an atmospheric interior rates this pub highly in my opinion. Good city centre pub and pints of Ruby Mild and Oakham JHB proved to be good choices. 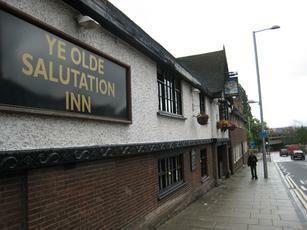 Something of a rock pub but not as wholeheartedly so as the Old Angel across town. We visited late afternoon so only confirmed drinkers were present. A back snug featured portraits of Oliver Cromwell in action. 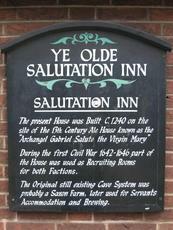 Nottingham has more than its share of interesting pubs. Somehow, I managed to enter a time warp as I entered this place. The jukebox was belting out Whitesnake. Poodle permed men had bandanas hanging out of their jeans arse pockets. The beer looked plentiful. My 6x was wishy washy. I came, I saw, I laughed, I will not be returning. 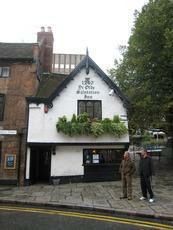 My second pub on my recent trip to Nottingham. Was a great find and quite handily near my hotel. 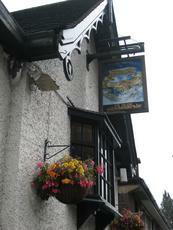 A rockers pub who take care with their ales. 4 handpumps with ales on and 4 pumps with scrumpies on. 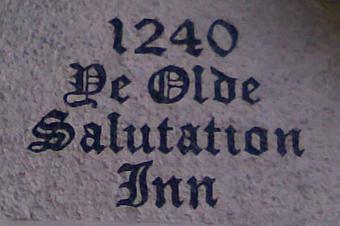 Apparently it is a very old establishment - not too older than ye old trip. Drank a pint of Maid Marion which was in great condition. Had a good laugh with the regulars and bar girl. Old timber wood inside adds to the oldie world feel.